It was my birthday at the end of August and it was a big one (let’s pretend it was 30) so I decided to treat myself to a little sewing present! 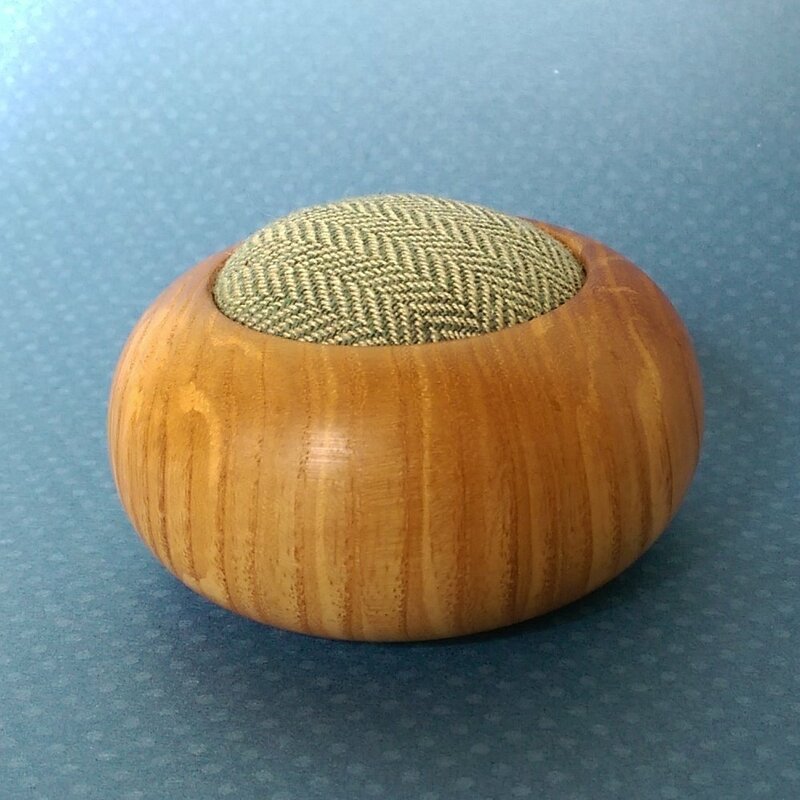 As soon as I saw these handmade wooden pin cushions on instagram I knew I had to have one. They are handmade in the UK from Maple wood, British cloth and have been stuffed with British wool. It truly is a sewing thing of beauty and I am so pleased to have one. 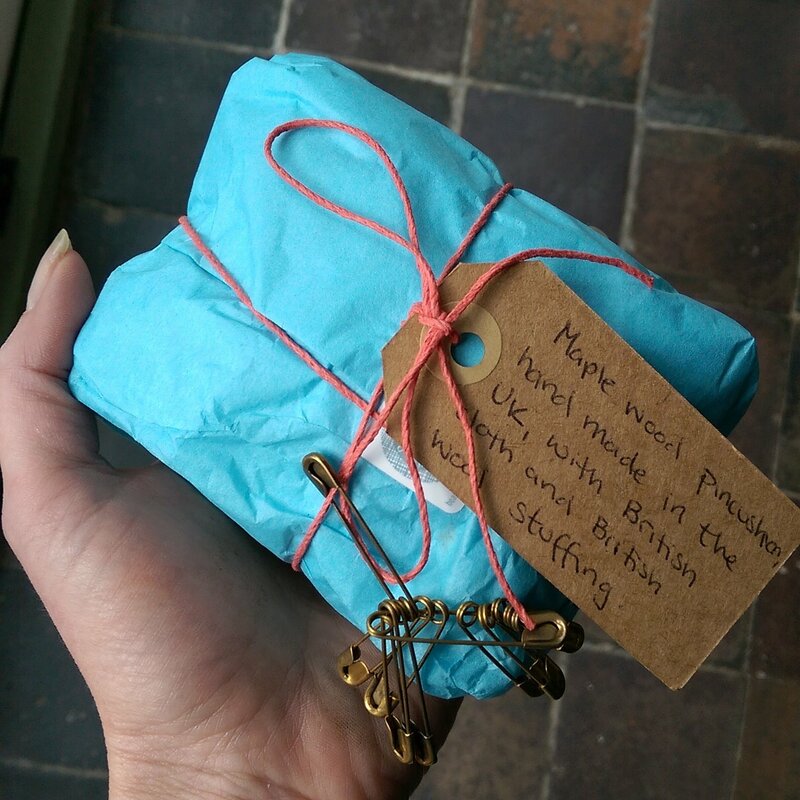 It even came beautifully packaged…I just love the vintage safety pins and hand written note. Grace at Beyond Measure is trying to keep up with demand and hasn’t managed to load any onto her website. If you would like one then maybe follow her on instagram or like her Beyond Measure facebook page so you can keep up to date with when more stock is available. In the mean time let me know if you want to pop in to look at mine! I’ll make sure the kettle is on…..